As is the case with many college towns, Gainesville has many pizza joints. Some are national and regional chains, but there are a few “independent operators” with a single location. 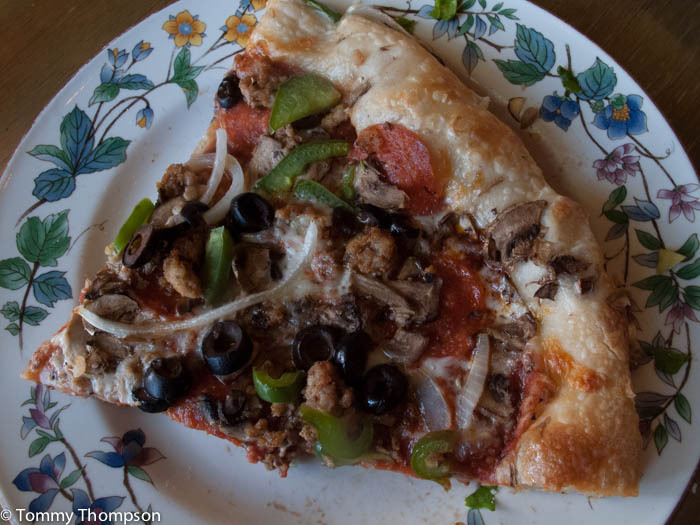 And, Satchel’s Pizza, at 1800 NW 23rd Avenue, on Gainesville’s East Side, is one of the best! Not only does Satchel’s serve excellent pizza (don’t miss the salad, either!) but their adjacent Lightnin’ Salvage shop and stage can always be counted on to provide some entertainment. 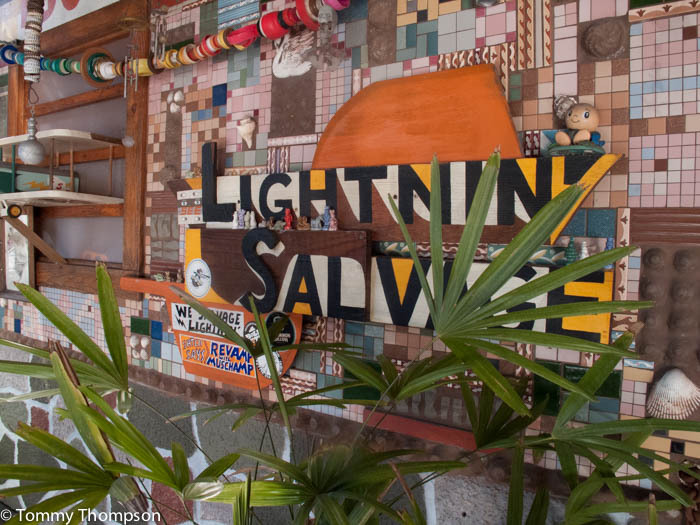 The music and entertainment schedule for Lightnin’ Salvage, usually posted for several months in advance, can be found on Satchel’s Facebook page. The music and entertainment schedule for Lightnin’ Salvage, usually posted for several months in advance, can be found on Satchel’s Facebook page. Satchel’s pizza is the star of the show, but don’t miss their salads, calzones, and hand-crafted soft drinks! Arrive early and enjoy your meal in Satchel’s van! As you might expect, Satchel’s can be busy. 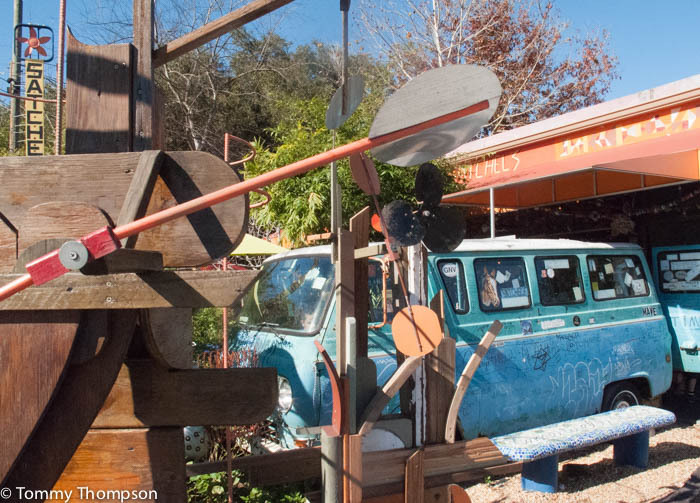 Open from 11am to 4pm, Tuesday through Saturday (ALWAYS CLOSED ON SUNDAY AND MONDAY) the restaurant attracts oldsters and youngsters as well as millennial and students from both the University of Florida and Santa Fe College. However, they will pack your pizza to go (352-335-7272) or you can call your order in for in-house dining. Finally, know that Satchel’s is a CASH ONLY establishment. However, if you show up without cash, there’s an ATM on site. And, in Satchel’s 15-year of community activism, the $1.50 ATM fees are always donated to local charities.